Download health data from various sources, including wearables, lab reports, and doctor and hospital visits. Sync other fitness and health apps for an even more comprehensive record of my health data - all in one place. My health data is secure and private. Health Wizz does not share my data with anyone. Period. I have complete control over who gets to see what part of my data. Share healthcare records with physicians, personal trainer, or for research. Provide access to my data on my terms and get OmPoints for sharing data. Download Health Wizz and own your data. 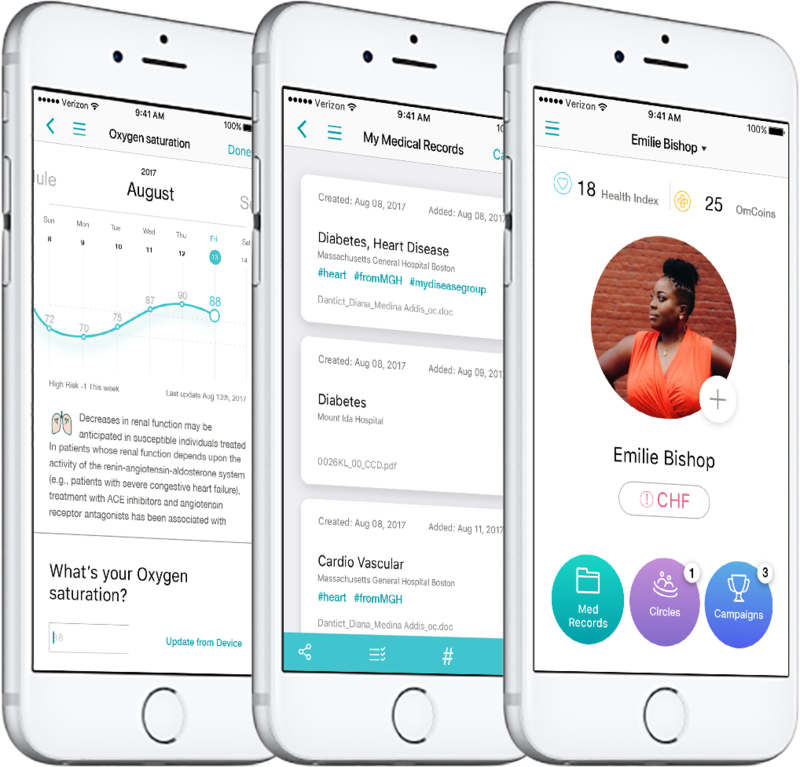 Take control of my wellness & medical records at the touch of a finger. Connect with Hospitals and Doctors' Offices and download your data. Never pay for transferring your records from one provider to another. Complete privacy and security. Connect to my favorite devices, apps, and with healthcare providers. Find clinical trials. Become a participant with health records including genetic information. Actively engage in the forefront of research such as Precision Medicine. Get early access to leading edge cures. Help advance healthcare.